Friday marks the official end of President Obama‘s time in office and the beginning of the Trump administration. It’s a huge moment for America when the hands of power change, but one thing that remains the same is the White House, its signature architecture, and the rich history held inside. 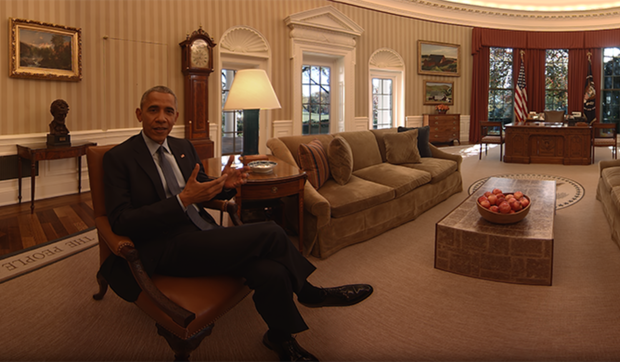 If you’re ever in Washington DC, you can sign up to go on a tour of the president’s digs, but for those of us who haven’t had that opportunity, President Obama found time to film a virtual tour of the most heavily guarded house in the country. Regardless of how you feel about our incoming President, watching this tour is all you need for major home envy with a major dash of pride that this house is a representation of the amazing country in which we live.